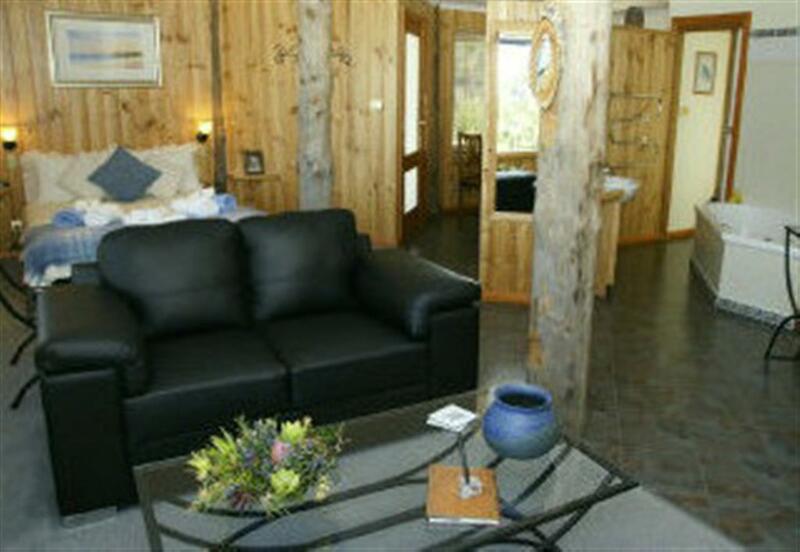 Bed in the Treetops B&B, award winning, luxury spa accommodation at the Bay of Fires, Tasmania. Welcome to Bed in the Treetops, an award winning, quality appointed Bed & Breakfast hideaway nestled high on a 37 acre property at the Bay of Fires, situated on Tasmania’s beautiful North East Coast. 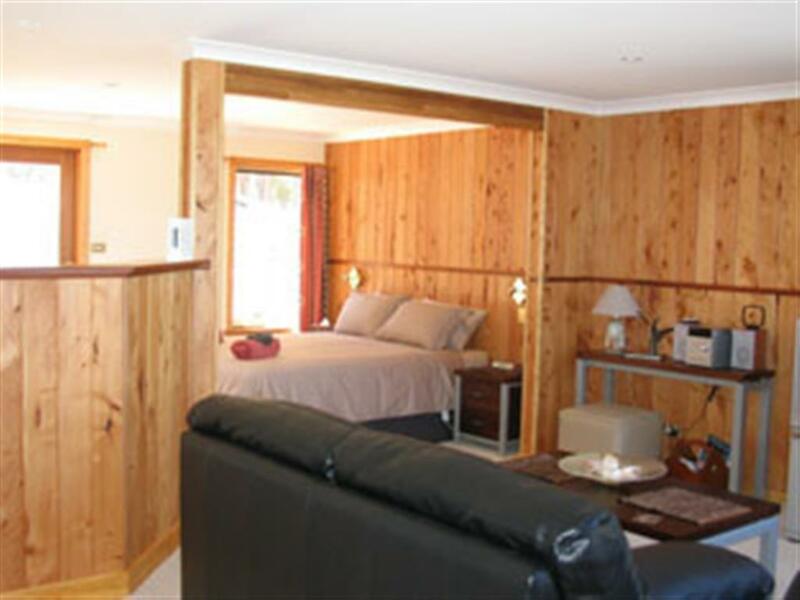 Bed in the Treetops is designed and constructed to highlight the wonderful location using the natural timbers of Tasmania. 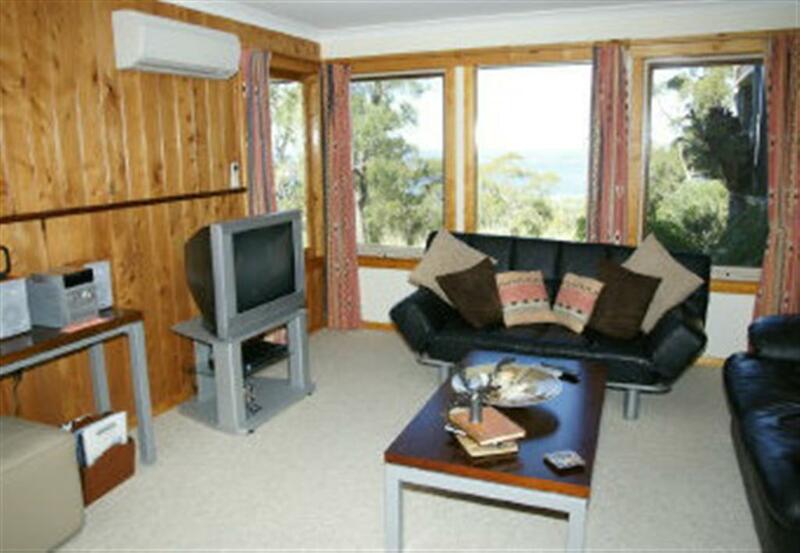 Perched 160 metres above sea level experience a birds eye view of native bush and expansive views over Binalong Bay, Moulting Bay, Georges Bay, St Helens Island and the Southern Ocean. We offer a choice of two private,quality, open plan spa suites, accommodating up to 6 guests. Bed in the Treetops is not suitable for children under 12 years old. Both suites occupy the bottom level which enables seperate entrances and privacy. Local birdlife is part of the Bed in the Treetops experience, such as Sea eagles, yellow-tailed black cockatoos, parrots, pelicans, wrens and rosellas. You may even sneak a glimpse of a wallaby, possum, echidna and wombat on their night-time wanderings. Bed in the Treetops is a calming place tucked away in amongst the bush yet a short drive takes you to great amenities at Saint Helens and the white sands and crystal clear waters of Binalong Bay. Upon arrival a complimentary afternoon tea awaits and the following morning a wholesome cooked breakfast using local produce including our own is presented upstairs. Mark and Paula welcome you to our home. Accommodation NOT suitable for children under 12 years old. All suites are Non Smoking.